Y Cube Fashion is an online fashion retailer brand (Sister Entity of R Square Fashion East) from Manipur (India). Founded by passionate professionals and having exposed to markets in South Korea, China, Thailand, Singapore, Malaysia and Japan, we are constantly working towards discovering latest trends across the region, sharing fashion information and offering unique shopping experiences. Ycube Fashion promise to bring East Asia fashion closure to you at the click of a button. 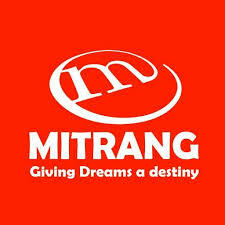 Mitrang Technologies is a professional Web & Multimedia design company based in Imphal, Manipur. We offer top-notch level services. We are committed to deliver high quality website design services tailored to meet your needs. So whatever your requirements: Website Design, Joomla CMS Template and WordPress Theme Development, Graphic Design, Social media optimization / Social media marketing, Search Engine Optimization (SEO), Ecommerce Solutions, CMS Development, Web Portal Design and Development Services. payment gateway integration – you can hire us. We work with many different types of businesses for small-medium enterprises and multinational companies. We are also a web design outsourcing company. 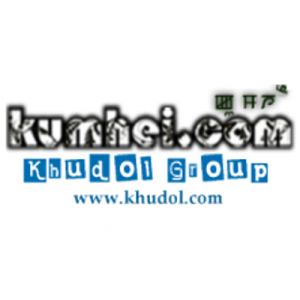 A website that allows users to locate, access information about events/kumhei happening and the upcoming events/kumhei such as Thabal, Eshei, Sumang Lila, Edu Kumhei, Lai Haraoba, Sports, Musical concert, Seminar, Public meeting, Live concert, Movies, Festivals and many Events/Kumhei around you. Find the exact location of events using Kumhei map & share your location with your friends. E-Pao! is the Complete e-platform for Manipuris. 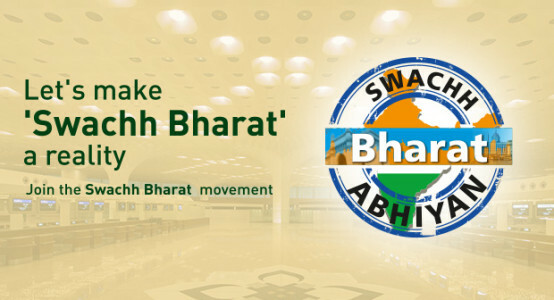 A Platform for all the Manipuries to showcase their rich cultural heritage and talents. Manipur’s First Online Platform launched on 31st December 1999. 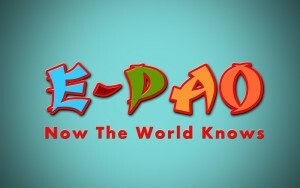 E-Pao is a not only a pioneer website from Manipur but is also responsible for much of the Manipur centric information available on the net. It is a not-for-profit site managed by a group of Manipuri technocrats from across the globe. 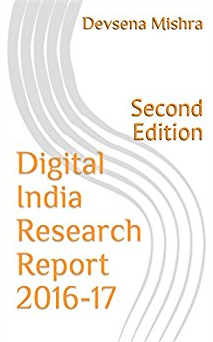 The group remains largely anonymous but its relentless strive can be seen in the evolution and upkeep of what is rightly termed as the e-platform for all Manipuris. 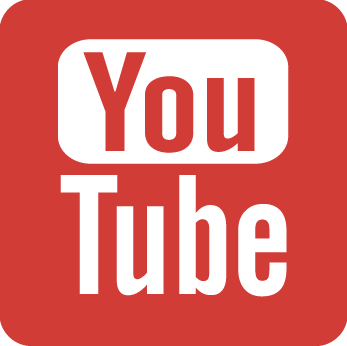 All contents at this site are directly contributed by the users or are aggregated from the contributors through our network of supporters/users. The site is a store house of information ranging from Manipuri Names to Recipes, News to Views, Books to Bands, Timelines to Editorials, Calendar to Pictures, Social Networking to Chat, Radio to Video. It is also the first site to webcast articles written on the traditional Meitei script (Eyek). Koksamlai.com is a platform to reach both niche and targeted consumers based on locality and preferences. We also provide solutions to local small and medium scale industries in terms of giving them a virtual presence. For consumers, we provide information pertaining to a particular city, applications to get connected and a platform to interact with more users. Provide IT solutions in the field of Education, entertainment, health, green revolution and community-based services for business and personal networking, database-based marketing solutions for any organization/individual to optimize cost and effort, support significant social causes with the help of sponsors and promote social responsibility, also provide a platform for the collective effort of the people; to respond, promote and solve day-to-day problems. 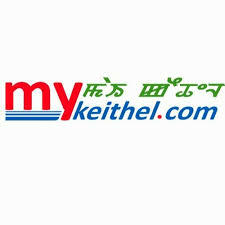 MYKEITHEL is a new venture, founded on July 2014, MYKEITHEL went live on 10th of October 2014 with the main objective of making Manipuri indigenous products easily available to anyone who knows how to access internet, especially to the growing youth of Manipuri’s residing outside Manipur. The main purpose of MYKEITHEL is to introduce or to promote the growing as well as the upcoming Entrepreneur of Manipur to the rest of the people residing outside Manipur, by way of promoting Manipuri Indigenous Product manufactured by Manipuri Entrepreneur, hoping MYKEITHEL can also contribute some amount of percentage to the unemployment problem in Manipur. The theme of ‘MYKEITHEL’ is that ‘M’ stands for ‘Manipur’, ‘Y’ stands for ‘Youth’ and ‘KEITHEL’ means ‘Market’ in Manipuri, i.e. Manipur Youth Keithel, A Manipuri online market place especially for the growing youth of Manipuri’s residing outside Manipur. This website is not to just give hope but it assure you that even though you are far away from Manipur, you have the opportunity to get Manipuri indigenous products at your doorstep just by ordering on our website. The website will provide products like….Pickles, Candies, Ngari, Soibum, Nga ayaiba, U-Morok (king Chilli), Yongchak, Kauna Craft, Handloom and Handicrafts items, Books and many more. 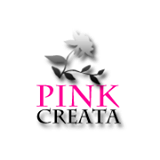 PinkCreata is a technology wise creative company doing extensive projects in the field of Website Designing, Website Development and Graphic Designing. Our Web and Graphic Development professionals are committed to provide work which pushes the limits of creativity and at a quick turnaround time with utmost quality. Our team has been delivering innovative, cost effective and timely solutions that drive the growth of small and medium-sized businesses worldwide. Engineered by high quality professionals and managed by matured processes, we help forward-thinking companies achieve and surpass their business goals. emanipur.org is a Web Designing firm based in Imphal, delivering quality websites for many clients for the past 2 years. 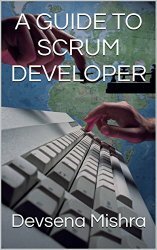 We have worked with start-ups to reputed organizations. We can help you in achieving your goals online. It doesn’t matter whether you are in the US or Australia or Canada because we have worked with many International clients in our career. Our myriad of services include Web Designing/Development, eCommerce sites, blogging, Social Media Marketing, Web Hosting, Website Maintenance, Fixing hacked websites etc.. 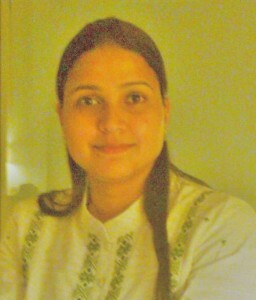 The SuiGeneris Inc. is a privately owned sustainable development enterprise based in Manipur. Launched in 2007 by Mr. Ragesh Keisham, the company currently owns and manages a large plantation of Cymbopogon Citratus in Imphal. This medicinal herb gives a high and rare yield in the tropical land of jewels and the organization is using controlled conditions to replicate ancient methods for producing a naturally caffeine free herbal tea, that is rich in antioxidants and loaded with wellness benefits. Based on the principles of a triple bottom line organization, The SuiGeneris Inc. is dedicated to people, planet and profit. It is generating gainful employment in one of the least economically developed states of the Indian subcontinent and uses all available resources for manufacturing a world-class product. The company adheres to organic farming policies and the produce is grown and packaged without any pesticides, fertilizers, coloring agents, flavors or other additives. The SuiGeneris Inc. is primed for bringing a revolutionary transformation in global consumption of the lemongrass plant. It currently offers a single product line called CC Tea for which cultivation is done on a pristine 75-acre farm. An additional 250 acres have been acquired and four more product lines are to be added over the next 12 months. The company already provides meaningful employment to nearly 2000 individuals including hundreds of underprivileged women across Manipur. The 2012-2013 gross state domestic product of Manipur at market prices was about ₹10188 crore (US$1.5 billion). Its economy is primarily agriculture, forestry, cottage and trade driven. Manipur acts as India’s ‘Gateway to the East’ through Moreh and Tamu towns, the land route for trade between India and Myanmar and other Southeast Asian countries. Manipur has the highest number of handicrafts units as well as the highest number of craftspersons, in the entire northeastern region of India. With about 3,268 square km of area covered by bamboo forests, Manipur is one of India’s largest bamboo producing states and a major contributor to the country’s bamboo industry. Manipur has the highest number of handicrafts units as well as the highest number of craftpersons comprising skilled and semi-skilled artisans in the entire north-eastern region. Handlooms is the largest cottage industry in Manipur and the state ranks among the top five in terms of the number of looms in the country. The gross state domestic product (GSDP) of the state grew at a compound annual growth rate (CAGR) of 7.8 per cent from 2004-05 to 2014-15. At current prices, the total GSDP of Manipur was about US$ 2.4 billion in 2014-15. Electricity: Manipur produced about 0.1 gigawatt-hours (0.36 TJ) of electricity in 2010 with its infrastructure. The state has hydroelectric power generation potential, estimated to be over 2 gigawatt-hours (7.2 TJ). As of 2010, if half of this potential is realized, it is estimated that this would supply 24/7 electricity to all residents, with a surplus for sale, as well as supplying the Myanmar power grid. Agriculture: Manipur’s climate and soil conditions make it ideally suited for various horticultural crops. Growing there are variety of rare and exotic medicinal and aromatic plants. Some cash crops suited for Manipur include litchi, cashew nuts, walnuts, orange, lemon, pineapple, papaya, passion fruit, peach, pear and plum. The state is covered with over 3,000 square kilometres (1,200 sq mi) of bamboo forests, making it one of India’s largest contributor to its bamboo industry. Transportation infrastructure: Imphal airport is the second largest airport in India’s northeast. Tulihal Airport, Changangei, Imphal, the only airport of Manipur, connects directly with Delhi, Kolkata, Guwahati, and Agartala. It has been upgraded as an International airport, and as India’s second largest airport in the northeast it serves as a key logistical centre for northeastern states. National Highway NH-39 links Manipur with the rest of the country through the railway stations at Dimapur in Nagaland at a distance of 215 km (134 mi) from Imphal. National Highway 53 (India) connects Manipur with another railway station at Silchar in Assam, which is 269 km (167 mi) away from Imphal. 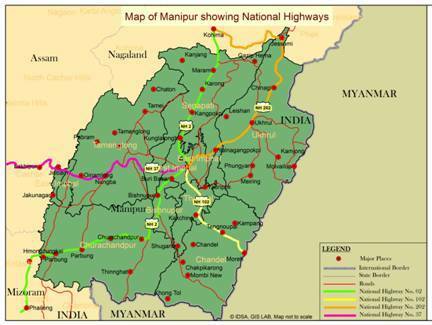 The road network of Manipur, with a length of 7,170 km (4,460 mi) connects all the important towns and distant villages. 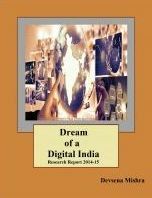 In 2010, Indian government announced that it is considering an Asian infrastructure network from Manipur to Vietnam. The proposed Trans-Asian Railway (TAR), if constructed, will pass through Manipur, connecting India to Burma, Thailand, Malaysia and Singapore. Tourism: The culture features martial arts, dance, theatre and sculpture. Greenery accompanies a moderate climate. The seasonal Shirui Lily plant at Ukhrul (district), Dzukou valley at Senapati, Sangai (Brow antlered deer) and the floating islands at Loktak Lake are among the rarities of the area. Polo, which can be called a royal game, also originated in Manipur. MUDRA Loans for Manipur’s Food Processing units: Union Minister of State for Food Processing Sadhvi Niranjan Jyoti assured the people of Manipur of providing MUDRA bank loans ranging from Rs 50,000 to Rs 10 lakh for food processing units without producing any guarantor or mortgaging any property. Regarding the food processing industry in Manipur, the Union Minister said the state was entitled to establish 26 food processing units, but right now has only two functioning units – one for drinking water and the other for flour. Center government is also planning to set up a Mega Food Park to provide better opportunities to the farmers of the state.